BY USING THE WEBSITE, YOU AGREE TO THE TERMS AND CONDITIONS OF THIS POLICY. IF YOU DO NOT AGREE WITH THE TERMS AND CONDITIONS OF THIS POLICY, PLEASE DO NOT PROCEED FURTHER TO USE THIS WEBSITE.ASYOUR USE OF THIS WEBSITE INDICATE TO US THAT YOU HAVE READ AND ACCEPT OUR TERMS AND CONDITIONS, AND BECAME FAMILIAR WITH IT. You may need to provide Smart Circle Group Your Personal Information during the course of using some services of the Smart Circle Group, for instance, creating a User ID, provide information in Your account while registering on the Website, or provide financial information while making an online purchase, upload content, participate in any online survey or contest, communicate with Smart Circle Groups customer service by phone, email or otherwise, provide reviews for the content available on the Website. Smart Circle Group collects only such Personal Information that Smart Circle Group believes to be relevant and is required to understand You or Your interests. Smart Circle Group collects Your Personal Information in order to record, support and facilitate Your participation in the activities You select, track Your preferences, to provide You with a customized Website experience, to notify You of any updated information and new activities and other related functions offered by Smart Circle Group, keep You informed about latest content available on the Website, special offers, and other products and services of Smart Circle Group, to assist You with customer service or technical support issues, to follow up with You after Your visit, to otherwise support Your relationship with Smart Circle Group or to prevent fraud and unlawful use. In an effort to make our Website effective, certain information may be collected each time You visit the Website. Such information may be stored in server logs. These encrypted statistics do not identify You personally, but provide us the information regarding Your visit to the Website and the type of User who is accessing our Website and certain browsing activities by You. This data may include: IP address of Your server from where the Website is being accessed, the type of browser (Internet Explorer, Firefox, Opera, Google Chrome etc. ), the operating system of Your system and the Website You last visited before visiting to our Website. The duration of Your stay on our Website is also stored in the session along with the date and time of Your access. These data are used by Smart Circle Group to understand the use and number of User visiting the Website. Some of the information related to the Website and Your visit to the Website may be shared by the sponsors, investors, advertisers, developer, strategic business partners of Smart Circle Group and some associates in order to enhance and grow our business and the Website but we assure that this information will never include any of Your Personal Information. When you use the Website, Smart Circle Group’s servers (which may be hosted by a third party service provider) may collect information indirectly and automatically about Your activities on the Website; for instance by way of cookies. A cookie is a small amount of data that is sent to a Users browser from a web server and is eventually stored on a Users computer hard drive. This anonymous information is maintained distinctly and is not linked to the Personal Information You submit to Smart Circle Group. Whether you want Your web browser to accept cookies or not is up to You. If You havent changed Your computers settings, most likely Your browser already accepts cookies. If You choose to decline cookies, You may not be able to fully experience all features of the Website. You can also delete your browser cookies or disable them entirely, but this may significantly impact your experience with the Website and may make parts of the Website non functional or inaccessible. We recommend that you leave them turned on. Smart Circle Group DOES NOT trade or sell Your Personal Information in any manner, except as specified herein or if express consent is sought from you. Personal Information provided by you is used only. (a) To facilitate your use of the Website. (b) To respond to your inquiries or fulfill your requests for information about the various services. (c) To provide you with information about Smart Circle Groups products/services and to send You information, materials, and offers from Smart Circle Group. (d) To send you important information regarding the Website, changes to Smart Circle Groups terms, conditions, and policies and/or other administrative information. (f) To personalize your experience on the Website and Smart Circle Groups other websites by presenting advertising, products and offers tailored to you. (g) To help you address your problems with the Website including addressing any technical problems. (h) If You purchase any content or avail of any service from the Website, to complete and fulfill Your purchase, for example, to have Your payments processed, communicate with You regarding Your purchase and provide You with related customer service. (k) To improve the services, content and advertising on the Website. You acknowledge that apart from Your Personal Information, if You upload any content on the Website, such content may contain information including Personal Information and the same may be available to the other Users of the Website. Smart Circle Group will not be liable for the disclosure and dissemination of such Personal Information to third parties. Smart Circle Group may disclose aggregated information about the use of the Website, but it will never contain Personal Information. Smart Circle Group does not disclose Personal Information to third parties in the normal course of operations. However, in situations when Smart Circle Group is legally obligated to disclose information to the government or other third parties, Smart Circle Group will do so. Smart Circle Group implements standard measures to protect against unauthorized access to and unlawful interception of Personal Information. However, no internet site can fully eliminate security risks. You are required to submit Your information at the time of making an online purchase on the Website. Smart Circle Group uses an online payment gateway that is operated by a third party and the information that You share with Smart Circle Group is transferred and shared with such third party payment gateway operator. The said operator may also have access to Your online purchase history/details that You make from the Website. The Website provides third-party advertisements and links to other websites. Smart Circle Group does not provide any personal information to these third-party website or advertisers. Smart Circle Group strives to ensure the security, integrity and privacy of Your Personal Information and to protect Your Personal Information against unauthorized access or unauthorized alteration, disclosure or destruction. For this purpose, Smart Circle Group adopts internal reviews of the data collection, storage and processing practices and security measures to guard against unauthorized access to systems where Smart Circle Group stores Your personal data. Smart Circle Group is not responsible for any breach of security or for any actions of any third parties that receive Your Personal Information. The Website also linked to many other sites and we are not/shall be not responsible for their privacy policies or practices as it is beyond our control. Notwithstanding anything contained in this Policy or elsewhere, Smart Circle Group shall not be held responsible for any loss, damage or misuse of Your Personal Information, if such loss, damage or misuse is attributable to a Force Majeure Event (as defined below). A "Force Majeure Event" shall mean any event that is beyond the reasonable control of Smart Circle Group and shall include, without limitation, sabotage, fire, flood, explosion, acts of God, civil commotion, strikes or industrial action of any kind, riots, insurrection, war, acts of government, computer hacking, unauthorized access to computer data and storage device, computer crashes, breach of security and encryption, etc. You acknowledge and agree that Smart Circle Group may preserve any communication by You with Smart Circle Group through the Website or any Service, and may also disclose such data if required to do so by law or if Smart Circle Group determines that such preservation or disclosure is reasonably necessary to: (1) comply with legal process; (2) enforce this Policy; (3) respond to claims that any such data violates the rights of others; or (4) protect the rights, property or personal safety of Smart Circle Group, its employees, Users of, or visitors to, the Website, and the public. You can always choose not to provide information and in such cases, if the information required is classified as mandatory, you will not be able to avail that part of the Services, features or content. You can add or update Your Personal Information on a regular basis. When You update information, Smart Circle Group will keep a copy of the prior version for its records. The Help portion of the toolbar on most browsers will tell You how to prevent Your browser from accepting new cookies, how to have the browser notify You when You receive a new cookie, or how to disable cookies altogether. Further, You can also disable or delete similar data used by browser add-ons, such as Flash cookies, by changing the add-ons settings or visiting the Website of its manufacturer. However, as cookies allow You to take advantage of some of the Websites features some of the Websites features and services may not function properly if Your cookies are disabled. It is therefore, recommended that you leave the cookies turned on. For instance, if You block or otherwise reject Smart Circle Groups cookies, You will not be able to add items to Your shopping cart, proceed to checkout, or download any of Smart Circle Groups Content or avail of Smart Circle Groups services that require You to log in. Unless stated otherwise, the Policy applies to all information that Smart Circle Group has about You and your account. By using this Website and the products, content and services provided on the Website, You agree and acknowledge that Your Personal Information collected through the Website may be transferred across national boundaries and stored and processed in any the country around the world. You also acknowledge that in certain countries or with respect to certain activities, the collection, transfer, storage, and processing of Your information may be undertaken by trusted third party vendors or agents of Smart Circle Group such as credit card processors, web hosting providers, communication services, and web analytic providers, to help facilitate Smart Circle Group in providing certain functions. Smart Circle Group may make changes to this Policy, from time to time at Smart Circle Groups sole discretion or on account of changes in law. You should check the Website frequently to see recent changes. Notwithstanding the above, Smart Circle Group shall not be required to notify You of any changes made to the Policy. The revised Policy shall be made available on the Website. Your continued use of the Website, following changes to the Policy, will constitute Your acceptance of those changes. Use of the Website is offered to You conditioned on acc eptance of all the terms, conditions and notices contained in these Terms, along with any amendments made by Smart Circle Group at its sole discretion and posted on the Website, including by way of imposing an additional charge for access to or use of a Service. 1.4 Smart Circle Group agrees to deliver the merchandise ordered by you only at such locations as per the Order Confirmation Form. Smart Circle Group shall not be liable to deliver any merchandize or Services purchased by Users for delivery in locations outside India shall not be entertained. 3.1 The Services are not available to minors under the age of eighteen (18) or to any Users suspended or removed from the Smart Circle Group system by Smart Circle Group for any reason whatsoever. If You do not confirm to the above qualification, You shall not be permitted to avail of the Services or use the Website. You represent that you are of legal age to form a binding contract and are not a person barred from receiving services under the laws as applicable in India. Notwithstanding the foregoing, if You are below the age of eighteen (18) years, You may avail the Services provided by Smart Circle Group through Your legal guardian in accordance with the applicable laws. 3.2 Smart Circle Group reserves the right to refuse access to use the Services offered at the Website to new Users or to terminate access granted to existing Users at any time without according any reasons for doing so. 4.2 The Website requires You to register as a User by creating an Account in order to avail of the Services provided by the Website. You will be responsible for maintaining the confidentiality of the Account Information, and are fully responsible for all activities that occur under Your Account. You agree to (a) immediately notify Smart Circle Group of any unauthorized use of Your Account Information or any other breach of security, and (b) ensure that You exit from Your Account at the end of each session. Smart Circle Group cannot and will not be liable for any loss or damage arising from Your failure to comply with this Section 4.2. You may be held liable for losses incurred by Smart Circle Group or any other User of or visitor to the Website due to authorized or unauthorized use of Your Account as a result of your failure in keeping Your Account Information secure and confidential. 4.4 You shall ensure that the Account Information provided by You in the Websites registration form is complete, accurate and up-to-date. Use of another Users Account Information for availing the Services is expressly prohibited. 5.1 Smart Circle Group strives to provide you with the best prices possible on products and services You buy or avail of from the Website. The pricing details for purchase of products and services from the Website are detailed under the Terms of Sale. 5.2 You agree to provide correct and accurate credit/ debit card details to the approved payment gateway for availing Services on the Website. You shall not use the credit/ debit card which is not lawfully owned by you, i.e. in any transaction, you must use Your own credit/ debit card. The information provided by you will not be utilized or shared with any third party unless required in relation to fraud verifications or by law, regulation or court order. You will be solely responsible for the security and confidentiality of your credit/ debit card details. Smart Circle Group expressly disclaims all liabilities that may arise as a consequence of any unauthorized use of your credit/ debit card. 6.4 You agree not to access (or attempt to access) the Website and the materials or Services by any means other than through the interface that is provided by Smart Circle Group. You shall not use any deep-link, robot, spider or other automatic device, program, algorithm or methodology, or any similar or equivalent manual process, to access, acquire, copy or monitor any portion of the Website or Content (as defined below), or in any way reproduce or circumvent the navigational structure or presentation of the Website, materials or any Content, to obtain or attempt to obtain any materials, documents or information through any means not specifically made available through the Website. 6.5 You acknowledge and agree that by accessing or using the Website or Services, You may be exposed to content from other Users that You may consider offensive, indecent or otherwise objectionable. Smart Circle Group disclaims all liabilities arising in relation to such offensive content on the Website. Further, You may report such offensive content in the manner prescribed under Section 17 herein. 6.8 You agree and acknowledge that Smart Circle Group is not the seller of the products and the services and Smart Circle Group shall in no manner be deemed to be the seller of the products or services on this Website. Smart Circle Group is only facilitating purchase of the products or services by You from the vendor by providing the Services to You. 6.9 You agree that Smart Circle Group may, at any time, modify or discontinue all or part of the Website, charge, modify or waive fees required to use the Website, or offer opportunities to some or all Website Users. 7.2 The rights granted to You in the product catalogues or any other materials as specified above are not applicable to the design, layout or look and feel of the Website. Such elements of the Website are protected by intellectual property rights and may not be copied or imitated in whole or in part. The product catalogues or any other materials available on the Website may be copied or retransmitted unless expressly permitted by Smart Circle Group. 8.4 Smart Circle Group shall be under no liability whatsoever in respect of any loss or damage arising directly or indirectly out of the decline of authorization for any transaction, on account of You/cardholder having exceeded the preset limit mutually agreed by Smart Circle Group with our acquiring bank from time to time. 9.1 The Website and the processes, and their selection and arrangement, including but not limited to all text, graphics, User interfaces, visual interfaces, sounds and music (if any), artwork and computer code (collectively, the "Content") on the Website is owned and controlled by Smart Circle Group and the design, structure, selection, coordination, expression, look and feel and arrangement of such Content is protected by copyright, patent and trademark laws, and various other intellectual property rights. 9.2 The trademarks, logos and service marks displayed on the Website ("Marks") are the property of Smart Circle Group or their vendors or respective third parties. You are not permitted to use the Marks without the prior consent of Smart Circle Group, the vendor or the third party that may own the Marks. 9.3 Unless otherwise indicated or anything contained to the contrary or any proprietary material owned by a third party and so expressly mentioned, Smart Circle Management Private Limited owns all intellectual property rights to and into the trademark "Smart Circle Group", and the Website, including, without limitation, any and all rights, title and interest in and to copyright, related rights, patents, utility models, designs, know-how, trade secrets and inventions (patent pending), goodwill, source code, meta tags, databases, text, content, graphics, icons, and hyperlinks. 9.4 Except as expressly provided herein, You acknowledge and agree that You shall not copy, republish, post, display, translate, transmit, reproduce or distribute any Content through any medium without obtaining the necessary authorization from Smart Circle Group or thirty party owner of such Content. The Website makes available general third party information such as, product catalogues, lists of authorized dealers, and reports on news, entertainment, technology and features, advertisements including videos, images and photographs of the products and other data from external sources ("Third Party Content"). The provision of Third Party Content is for general informational purposes only. You acknowledge that the Third Party Content provided to You is obtained from sources believed to be reliable. Smart Circle Group does not provide any guarantee with respect to any the Third Party Content and Smart Circle Group shall not be held liable for any loss suffered by You based on Your reliance on or use of such data. 11.2 TO THE MAXIMUM EXTENT PERMITTED BY APPLICABLE LAW, SMART CIRCLE GROUP WILL HAVE NO LIABILITY RELATED TO USER CONTENT ARISING UNDER INTELLECTUAL PROPERTY RIGHTS, LABEL, PRIVACY, PUBLICITY, OBSCENITY OR OTHER LAWS. SMART CIRCLE GROUP ALSO DISCLAIMS ALL LIABILITY WITH RESPECT TO THE MISUSE, LOSS, MODIFICATION OR UNAVAILABILITY OF ANY USER CONTENT. 11.3 SMART CIRCLE GROUP WILL NOT BE LIABLE FOR ANY LOSS THAT YOU MAY INCUR AS A CONSEQUENCE OF UNAUTHORIZED USE OF YOUR ACCOUNT OR ACCOUNT INFORMATION IN CONNECTION WITH THE WEBSITE OR ANY SERVICES OR MATERIALS, EITHER WITH OR WITHOUT YOUR KNOWLEDGE. SMART CIRCLE GROUP HAS ENDEAVORED TO ENSURE THAT ALL THE INFORMATION ON THE WEBSITE IS CORRECT, BUT SMART CIRCLE GROUP NEITHER WARRANT NOR MAKES ANY REPRESENTATIONS REGARDING THE QUALITY, ACCURACY OR COMPLETENESS OF ANY DATA, INFORMATION, PRODUCT OR SERVICE. SMART CIRCLE GROUP SHALL NOT BE RESPONSIBLE FOR THE DELAY OR INABILITY TO USE THE WEBSITE OR RELATED FUNCTIONALITIES, THE PROVISION OF OR FAILURE TO PROVIDE FUNCTIONALITIES, OR FOR ANY INFORMATION, SOFTWARE, PRODUCTS, FUNCTIONALITIES AND RELATED GRAPHICS OBTAINED THROUGH THE WEBSITE, OR OTHERWISE ARISING OUT OF THE USE OF THE WEBSITE, WHETHER BASED ON CONTRACT, TORT, NEGLIGENCE, STRICT LIABILITY OR OTHERWISE. FURTHER, SMART CIRCLE GROUP SHALL NOT BE HELD RESPONSIBLE FOR NON-AVAILABILITY OF THE WEBSITE DURING PERIODIC MAINTENANCE OPERATIONS OR ANY UNPLANNED SUSPENSION OF ACCESS TO THE WEBSITE THAT MAY OCCUR DUE TO TECHNICAL REASONS OR FOR ANY REASON BEYOND SMART CIRCLE GROUPS CONTROL. THE USER UNDERSTANDS AND AGREES THAT ANY MATERIAL OR DATA DOWNLOADED OR OTHERWISE OBTAINED THROUGH THE WEBSITE IS DONE ENTIRELY AT THEIR OWN DISCRETION AND RISK AND THEY WILL BE SOLELY RESPONSIBLE FOR ANY DAMAGE TO THEIR COMPUTER SYSTEMS OR LOSS OF DATA THAT RESULTS FROM THE DOWNLOAD OF SUCH MATERIAL OR DATA. SMART CIRCLE GROUP IS NOT RESPONSIBLE FOR ANY TYPOGRAPHICAL ERROR LEADING TO AN INVALID COUPON. SMART CIRCLE GROUP ACCEPTS NO LIABILITY FOR ANY ERRORS OR OMISSIONS, WITH RESPECT TO ANY INFORMATION PROVIDED TO YOU WHETHER ON BEHALF OF ITSELF OR THIRD PARTIES. 12.3 In no event shall Smart Circle Group, its officers, directors, employees, partners or suppliers be liable to You, the vendor or any third party for any special, incidental, indirect, consequential or punitive damages whatsoever, including those resulting from loss of use, data or profits, whether or not foreseeable or whether or not Smart Circle Group has been advised of the possibility of such damages, or based on any theory of liability, including breach of contract or warranty, negligence or other tortuous action, or any other claim arising out of or in connection with Your use of or access to the Website, Services or materials. 12.5 www.smartcirclegroup.com shall not be responsible for any malfunctioning, non-functioning of the mobile phone or any other application, and or any damage, loss, either direct or indirect arising out of the use of the www.smartcirclegroup.com mobile application on Your mobile phone. 13.2 You agree that Smart Circle Group may, in its sole discretion, and without prior notice, terminate Your access to the Website, for cause, which includes (but is not limited to): (1) requests by law enforcement or other government agencies; (2) a request by You (self-initiated account deletions); (3) discontinuance or material modification of the Website or any service offered on or through the Website; or (4) unexpected technical issues or problems. 14.3 Smart Circle Group may also terminate or suspend all or a portion of Your account or access to the Services with or without reason. Except as may be set forth in any Additional Terms applicable to a particular Service, termination of Your Account may include: (i) removal of access to all offerings within the Website or with respect to the Services; (ii) deletion of Your materials and Account Information, including Your personal information, log-in ID and password, and all related information, files and materials associated with or inside Your Account (or any part thereof); and (iii) barring of further use of the Services. 14.4 You agree that all terminations shall be made in Smart Circle Groups sole discretion and that Smart Circle Group shall not be liable to You or any third party for any termination of Your Account (and accompanying deletion of Your Account Information), or Your access to the Website and Services. 14.6 If You or Smart Circle Group terminates Your use of the Website, Smart Circle Group may delete any content or other materials relating to Your use of the Website and Smart Circle Group will have no liability to You or any third party for doing so. You hereby expressly agree to receive communications by way of SMS, e-mails, Telephone Calls from Smart Circle Group relating to Services provided through the Website. Any feedback You provide to this Website shall be deemed to be non-confidential. Smart Circle Group shall be free to use such information on an unrestricted basis. Further, by submitting the feedback, You represent and warrant that (i) Your feedback does not contain confidential or proprietary information of You or of third parties; (ii) Smart Circle Group is not under any obligation of confidentiality, express or implied, with respect to the feedback; (iii) Smart Circle Group may have something similar to the feedback already under consideration or in development; and (iv) You are not entitled to any compensation or reimbursement of any kind from Smart Circle Group for the feedback under any circumstances. These terms of offer for sale ("Terms of Sale") between Smart Circle Group( Smart Circle Management Pvt. Ltd., Smart Circle India) hereinafter referred to as (“Smart Circle Group”, “SCMPL”, “SCG”, “SCI”, “We”, “Our”, “Us”, “Smart Circle”) and its Users hereinafter referred to as("You" "Your" "Yourself") describe, inter alia, the terms of offer for sale, purchase of goods and services through the redemption of cash vouchers/ coupons ("Voucher/s") or otherwise on the Website, www.smartcirclegroup.com ("Website"). PLEASE READ THE TERMS OF SALE CAREFULLY BEFORE PURCHASING ANY PRODUCTS OR AVAILING ANY SERVICES ON THE WEBSITE. ANY PURCHASE MADE BY YOU THROUGH THE WEBSITE OF THE PRODUCTS/ SERVICES SHALL SIGNIFY YOUR ACCEPTANCE OF THE TERMS OF SALE AND YOUR AGREEMENT TO BE LEGALLY BOUND BY THE SAME. IF YOU DO NOT AGREE WITH THE TERMS OF SALE, PLEASE DO NOT ACCESS THE WEBSITE FOR ANY PURCHASE. 1.1 The Website is a platform that facilitates the online sale and purchase of branded merchandise and services ("Services") offered by Smart Circle Groups various affiliates/ registered merchants/ vendors/ service providers ("Vendor/s"). The Services are offered to the Users through various modes which shall include but not be limited to, sale of Smart Circle Booklet/Vouchers that can be redeemed for various products and services, sale of products etc. The Vendors are the sellers of products and services on the Website and will be solely responsible to You for the products sold or for redemption of any Smart Circle Booklet Voucher purchased by You through the Website. 1.2 You acknowledge that Smart Circle Group has the right to change or discontinue any Service at any time, without notice. You further acknowledge that Smart Circle Group may add or modify the procedures, modes, processes or conditions of purchase at any time to adapt to changes that Smart Circle Group may make to the Services. You agree that Smart Circle Group shall not be liable to You or to any third party for any modification, suspension or discontinuance of any aspect of the Services. 2.2 Smart Circle Group will facilitate the provision of the best, pre-negotiated deals for a particular product/service at a given price for a given place. Purchase of such Vouchers/Smart Circle Booklet will be subject to the Terms of Sale and such other terms, if any, as specified by the Vendor. 2.3 Each Voucher will have the necessary redemption instructions printed on it. The Vouchers may contain an offer period, or expiry date mentioned on it, You shall use it accordingly. Unless otherwise stated, You will not be entitled to receive any credit or cash-back for the value of the Voucher if You dont redeem or use within the stipulated time period as mentioned in the Voucher. You agree that the Voucher issued is specific to the product or service selected such as hotels, restaurants, spa, salon & wellness, footwear etc. and cannot be used for the purchase of any other product or service as offered by the Website and cannot be used for the purchase of any other product or service and cannot be combined with other special offers or promotions that may be made available on the Website. 2.4 On making payment for the Voucher through any mode, You will be issued a Voucher which must be presented to the venue/ store of the Vendor, pursuant to which You can complete Your purchase of the relevant product or avail of the relevant service from such Vendor. The displayed price stated on the Voucher shall be inclusive of applicable taxes unless mentioned otherwise. 2.5 Vouchers once sold are non-refundable, whether You use it or not. Only one Voucher is allowed per transaction. 2.6 You agree that neither Smart Circle Group nor the Vendors shall be liable in the event You lose, misplace or destroy Your Voucher at any time. 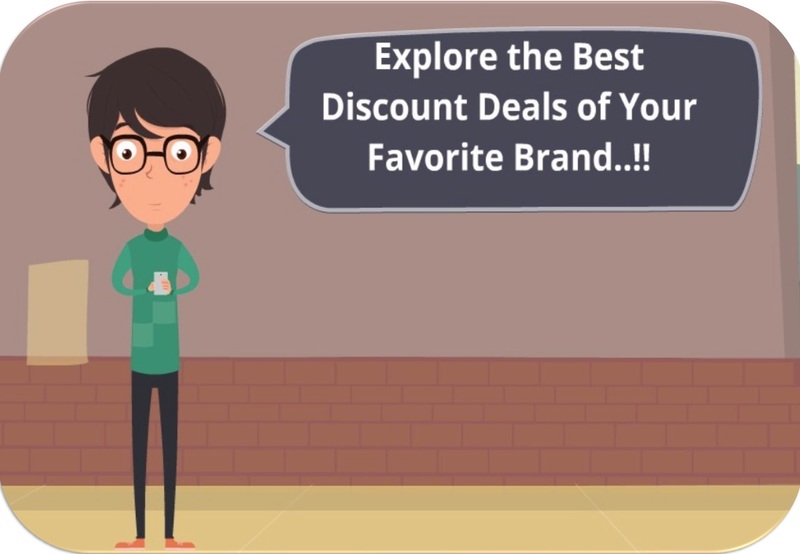 3.1 Smart Circle Group, through the Website also makes available of variety of branded deals at an agreed price to You. Purchase of such deals will be subject to the Terms of Sale and such other additional terms, if any, as specified by the Vendor. 3.2 Smart Circle Group offers SHIPPING for all the products on the Website as per the companys policy, which may be changed by Smart Circle Group without any notice to You. 3.3 All the Products are governed by the terms of warranties provided by the respective manufacturer/ brands. However, in case any product is covered under seller warranty, it shall be specifically mentioned under the product details. 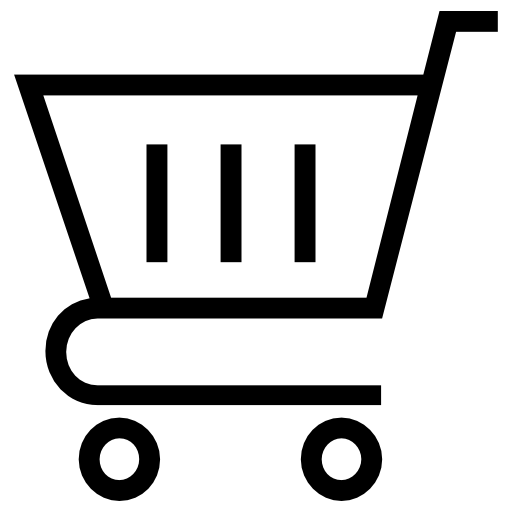 3.4 The price of products offered on the Website is either equal to or lesser than the Maximum Retail Price ("MRP") i.e., the discounted rate prescribed for those products. The MRP and other statutory declarations shall be mentioned on the products and/or on its packaging in accordance with applicable laws. 4.1 You should take all responsibility for Your own actions in utilizing the services purchased by You and Smart Circle Group shall not be liable for any such action. 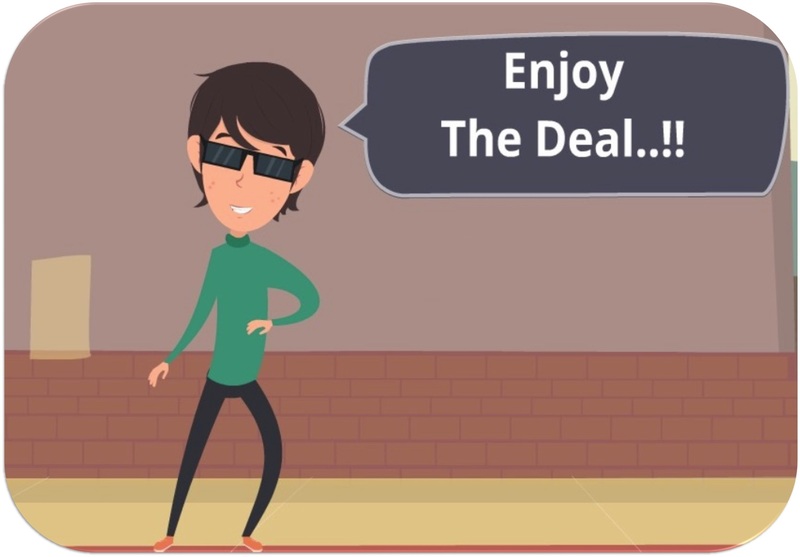 The customers are requested to go through the “Rules of Use” of the deals before making a purchase. The purchases made through www.smartcirclegroup.com are non- refundable. The various payment options available are debit card and through credit card. The cash on delivery can be done only for express cities (where offices of Smart Circle Group are located). 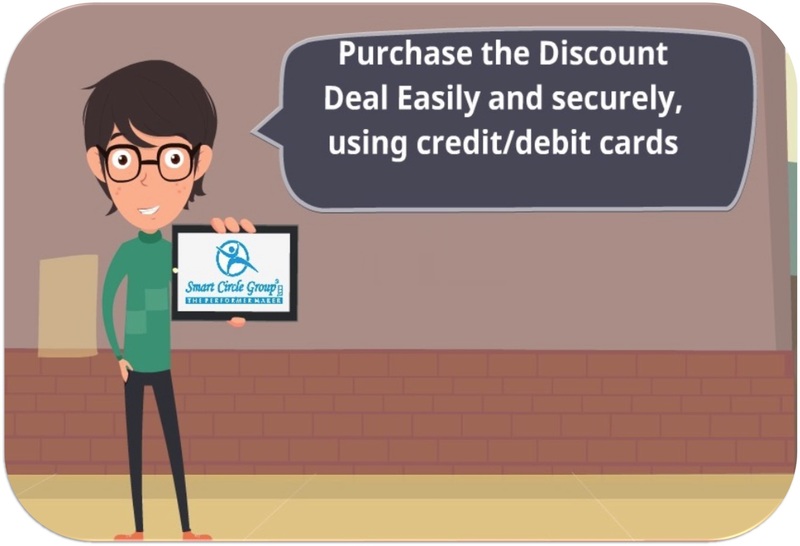 All the customers who have made their purchase online and haven’t received the discount cards within 7 days are requested to report their complain to our customer care department on customercare@smartcirclegroup.com or on 0141-4007401 within 30 days of the date of purchase. After 30 days Smart Circle Group will not be responsible for anything. 4.2 You represents that You are of legal age to form a binding contract with Smart Circle Group and are not a person barred from receiving services under the laws as applicable in India. 4.3 You confirm that Smart Circle Group shall not be responsible for any deficiency in payment of consideration payable towards the services purchased from the Website. 4.4 Smart Circle Group does not offer any refunds against any services already purchased from the Website unless, any error has occurred during the purchase. 5.1 Smart Circle Group strives to provide You with the best prices possible on products and services You buy or avail of from the Website. However, Smart Circle Group does not guarantee that the price will be the lowest in the city, region or geography. Prices and availability are subject to change without notice or any consequential liability to You. 5.2 While Smart Circle Group strives to provide accurate products, services and pricing information, typographical and other errors may occur. In the event that a product or service is listed at an incorrect price or with incorrect information due to an error in pricing or product or service information, Smart Circle Group may, at its discretion, either contact You for instructions or cancel Your order and notify You of such cancellation. Smart Circle Group will have the right to modify the price of the product or service and contact You for further instructions via e-mail address provided by You at the time of registration, or cancel the order and notify You of such cancellation. If Smart Circle Group cancels the order after the payment has been processed, the said amount will be remitted to Your account from which the payment was made. In certain cases, specifically with regard to particular products/ services, You might be required to provide Your credit or debit card details to the approved payment gateways while making the payment. In this regard You agree to provide correct and accurate credit/ debit card details to the approved payment gateways for availing Services on the Website. You shall not use the credit/ debit card which is not lawfully owned by You, i.e. in any transaction, You must use Your own credit/ debit card. The information provided by You will not be utilized or shared with any third party unless required in relation to fraud verifications or by law, regulation or court order. You will be solely responsible for the security and confidentiality of Your credit/ debit card details. Smart Circle Group expressly disclaims all liabilities that may arise as a consequence of any unauthorized use of Your credit/ debit card. Your shipping address, pin code will be verified with the database of Smart Circle Group before You proceed to pay for Your purchase. In the event case Your order is not serviceable by our delivery partners or the merchant or the area is not covered, we would request You to provide us with an alternate shipping address which we expect to have on our partner/merchants delivery list. In case there is any dispute regarding the shipment of the product or services for the area not covered by Smart Circle Group, in such cases Smart Circle Group will not be responsible for the non-delivery of the product. Smart Circle Group doesnt deliver items internationally. However, You can make purchases on the website from anywhere in the world but at the same time ensuring the shipping address is within India. In case you book multiple orders for the Products and Services in one transaction, Smart Circle Group would Endeavour to ship all Products together. However, this may not always be possible due to some product characteristics and/or logistics issues. If You purchase multiple Products in single transaction, then all the Products would be shipped to a single shipping address given by You. If you wish to ship Products to different addresses, then you should book the orders separately based on the delivery addresses. 8.1 We do not refund for a product or service purchased. Returning of deals, vouchers, Smart Circle Booklets are not possible with us so if you do not agree . Kindly do not purchase from our website. You can get in touch with the customer service team through any of the below mentioned channels. 8.2 Upon receiving Your complaint, Smart Circle Group shall verify the authenticity and the nature of the complaint and if Smart Circle Group is convinced that the complaint is genuine, Smart Circle Group will inform the relevant Vendor of such complaint but no guarantee. However, in the event of frivolous and baseless complaints regarding the quality and content of the products, Smart Circle Group reserves the right to take necessary legal actions against You and You will be solely liable for all costs incurred by Smart Circle Group in this regard. You expressly acknowledge that the Vendor selling the defective product/ service will be solely responsible to You for any claims that You may have in relation to such defective product/ service and Smart Circle Group shall not in any manner be held liable for the same. 8.3 Before accepting shipment of any product, kindly ensure that the products packaging is not damaged or tampered. If You observe that the package is damaged or tampered, request You to refuse to accept delivery and inform Smart Circle Group at the earliest. Unless due to Your negligence, in the event the Vendor fails to complete a sale of a product or a service when presented by You with a valid Voucher or otherwise, You acknowledge that the vendor will be solely liable to reimburse such amount as has already been paid by You for the purchase of such order. Further, You agree that Smart Circle Group will not be held liable for failure of the Vendor to make available any product or service therein. We will resolve your problem within duration of 15 days from the date of reporting your problem with us. If within 15 days, the problem is not resolved, kindly contact our Head Office (refer to the contact us section for H.O. contact information). 11.1 SMART CIRCLE GROUP DOES NOT CONTROL, ENDORSE OR ACCEPT RESPONSIBILITY FOR ANY PRODUCT (INCLUDING BUT NOT LIMITED TO PRODUCT CATALOGUES) OR SERVICES OFFERED BY THIRD PARTIES ACCESSIBLE THROUGH THE WEBSITE OR ANY LINKED SITES. SMART CIRCLE GROUP MAKES NO REPRESENTATIONS OR WARRANTIES WHATSOEVER ABOUT, AND SHALL NOT BE LIABLE FOR, THE VENDOR OR ANY SUCH THIRD PARTIES, THEIR PRODUCTS OR SERVICES, INCLUDING REPRESENTATIONS RELATING TO NON-INFRINGEMENT OF THIRD PARTY INTELLECTUAL PROPERTY RIGHTS. ANY TRANSACTIONS THAT YOU MAY HAVE WITH SUCH THIRD PARTIES ARE AT YOUR OWN RISK. THE PRODUCTS SHALL BE SUBJECT TO VENDORS TERMS AND CONDITIONS FOR WARRANTY, SERVICE AND MAINTENANCE, AND SMART CIRCLE GROUP DOES NOT ACCEPT ANY RESPONSIBILITY FOR THE SAME. SMART CIRCLE GROUP ALSO DOES NOT ACCEPT ANY RESPONSIBILITY FOR THE USAGE OF THE PRODUCTS BY YOU. 11.2 SMART CIRCLE GROUP SPECIFICALLY DISCLAIMS ANY LIABILITY WITH REGARD TO ANY DEFECT IVE OR COUNTERFEIT PRODUCTS PURCHASED OR SERVICE AVAILED BY YOU FROM THE VENDOR AND SMART CIRCLE GROUP SHALL NOT ASSUME ANY LIABILITY IF THE PRODUCT PURCHASED OR SERVICE AVAILED BY YOU FROM THE VENDOR IS NOT EXACTLY AS PER SPECIFICATIONS DETAILED IN THE PURCHASE CONFIRMATION ORDER. 12.1 You agree to indemnify, defend and hold harmless Smart Circle Group from and against any and all losses, liabilities, claims, damages, demands, costs and expenses (including legal fees and disbursements in connection therewith and interest chargeable thereon) asserted against or incurred by Smart Circle Group that arise out of, result from, or may be payable by virtue of, any breach of any representation, warranty, covenant or agreement made or obligation to be performed by You pursuant to these Terms of Sale or any Additional Terms applicable to the purchase of products and services on the Website. 12.3 Smart Circle Group shall not assume any liability for the non-availability of the service, product, delivery of the product and the installation of the product where required or any action or inaction that might be taken by the Vendor after issue of the Voucher to the User. 13.1 These Terms of Sale and the relationship between You and Smart Circle Group shall be governed in accordance with the laws of India without reference to conflict of laws principles. 13.2 You agree that all claims, differences and disputes arising under or in connection with or in relation to the Terms of Sale or any transactions entered into on or through the Website or the relationship between You and Smart Circle Group shall be subject to the exclusive jurisdiction of the courts at Jaipur, Rajasthan, India and You hereby accede to and accept the jurisdiction of such courts. Copyright in this Website belongs to Smart Circle Group. Smart Circle Group also uses contents of their vendors and third parties as well who might not be the original owners of copyright therein. The Users should assume that standard copyright protection applies to all materials and contents displayed on the Website. Any redistribution, modification or reproduction of part or all of the contents featured in the Website in any form is prohibited. You may display, print, or download the contents to a local hard disk extracts for Your personal, non-commercial use, but only if You acknowledge the Website as the source of the material. You are not permitted, except with the express written consent of Jasper, to distribute or commercially exploit the contents on this Website. You are also prohibited from transmitting the contents or storing it in any other Website or in other form of electronic retrieval system. www.smartcirclegroup.com ("Website" or "Smart Circle Group") contains the trademark "Smart Circle Group", creations with the trademark "Smart Circle Group", other trademarks, logos, trade name, service marks and other marks (collectively "Marks") which are the intellectual property of Smart Circle Management Private Limited or their vendors or respective third parties. You understand that Smart Circle Group uses the Marks of vendors and respective third parties procured from the owner and/or distribution channel solely for promotional purposes. In doing so, Smart Circle Group has no intention, whatsoever, to acquire rights of use or license to these marks. You are not permitted to use the Marks without the prior consent of Smart Circle Group, the vendor or the third party that may own the Marks. If You do so, Smart Circle Group may, in its sole discretion, terminate Your Account. You agree not to challenge the use, registration or application to register the Marks, anywhere in the world, and that You will not harm, misuse, or bring into disrepute any of the Marks. The goodwill derived from using the Marks or any part thereof, shall inure exclusively to the benefit of Smart Circle Group or its vendors or the third party that may own the Marks. All Marks, domain name, trade dress including the "look and feel" of the Website, its text, graphics, button icons, interfaces, etc., and the arrangements thereof, is the property of Smart Circle Group or its vendors or the third party, as the case may be, unless otherwise indicated. All the contents are protected under copyright, trademark and other applicable intellectual property laws and may not be used by You, except as permitted by Smart Circle Group, its vendors or the concerned third party. Please note that the information provided in this notice may be forwarded to the person who provided the allegedly infringing content. 6. The Company Secretary/ Manager- Legal should be contacted only if You believe that Your work has been used or copied in a way that constitutes copyright infringement and that such infringement is occurring on the Website or on websites linked to or from the Website, or in connection with the services provided on the Website.